I already poasted about this on Facebook, but figured there might be some interest here too. In addition to getting their Fuzz Wahs back to add more LEDs (white ones for the Fuzz circuit, in addition to the red ones for the wahs) I've just finished fixing some other pedals from their stash. The mystery 'bass fuzz' needed replacement pots (cleaning wasn't doing it). It sounds really good, like a more defined Big Muff. Given that there's one clipping stage I'm guessing it's something like a Jumbo Tonebender. Must build one and see. Pedal nerds: note the unusual use of the blue relay for the indicator LED. 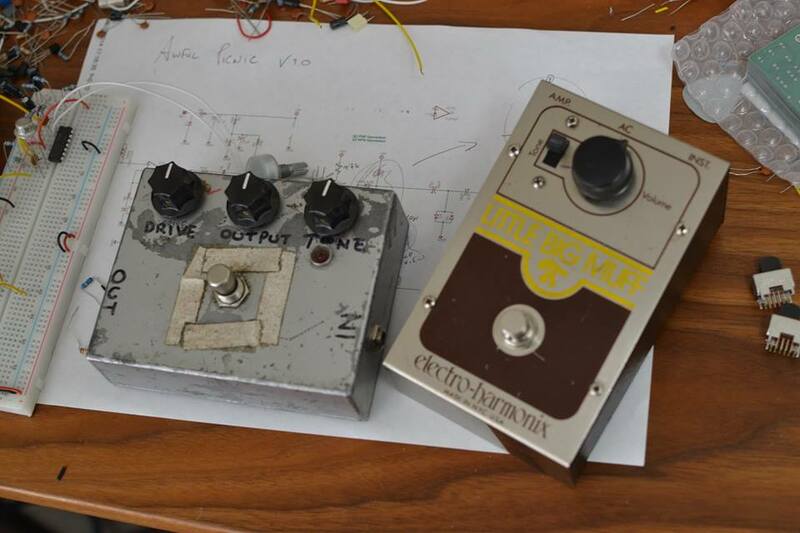 The 70s Little Big Muff: this is the '78 IC Big Muff in disguised form. 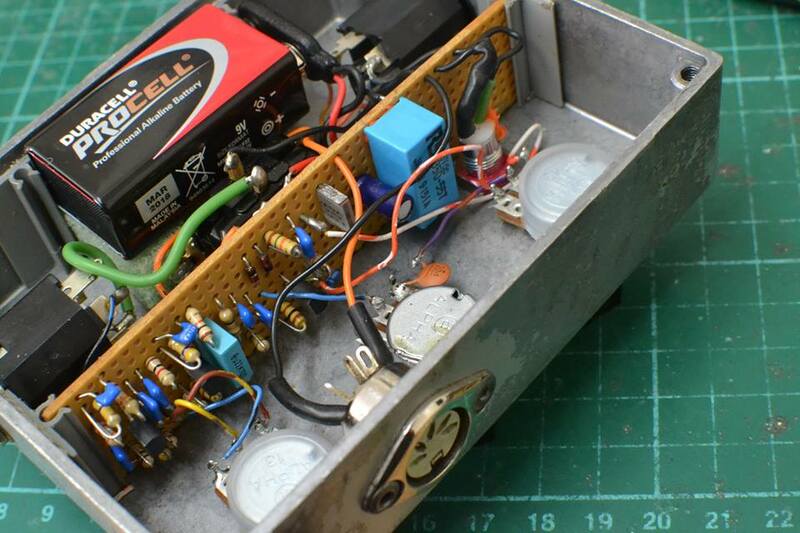 It has a full size Big Muff board, with solder terminals for the other pots, but forfeits the 'sustain' control and subsitutes the tone knob for a switch. These sound wonderful and are rightly sought-after. The bypass on these (and the ICBM) is awful, so it's been rewired for true bypass with a new switch. 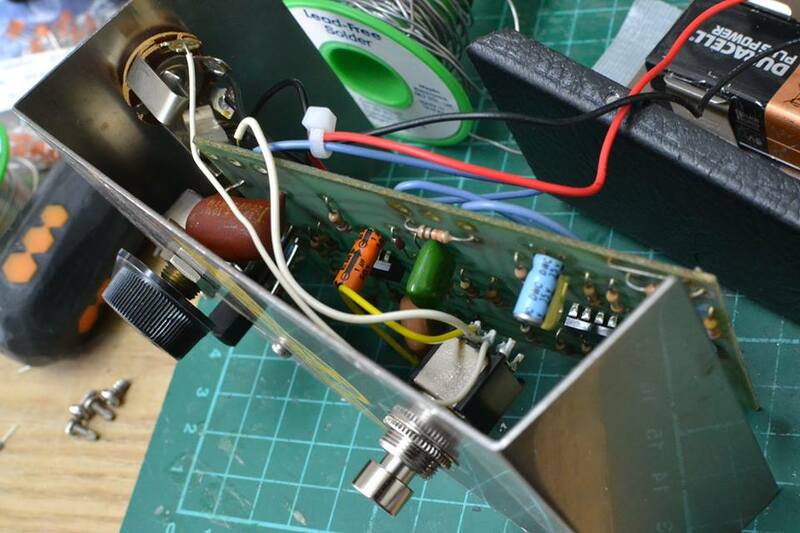 Note the classic 70s Electro Harmonix practice of using all random parts (that big capacitor is rated at 200V). 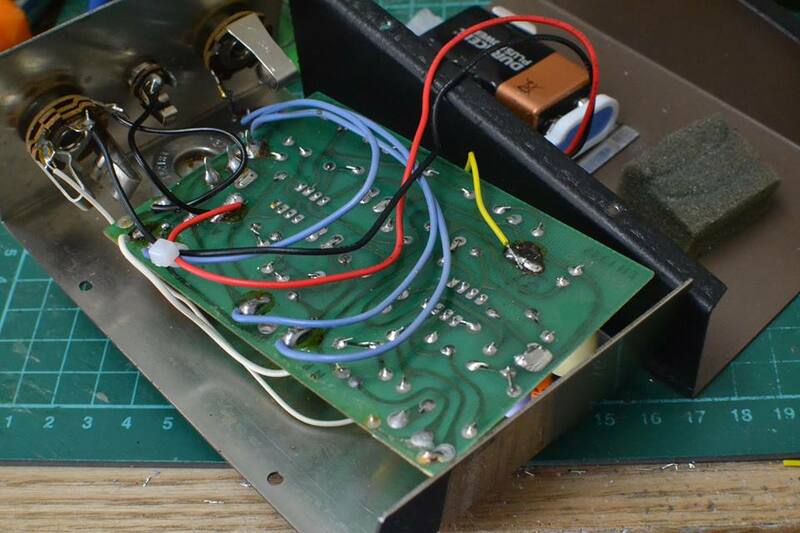 Also the circuit board is floating around in there, just attached by the legs of the volume pot - really bad practice, but it's lasted 40 years, so hey.